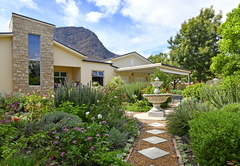 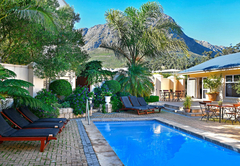 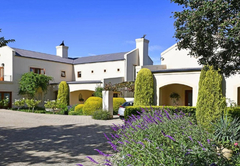 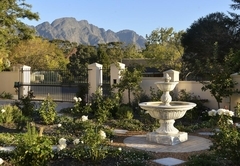 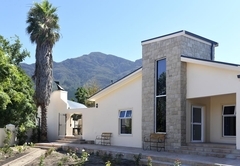 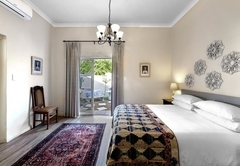 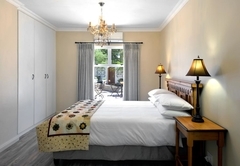 Grande Plaisir Villa is a highly recommended property providing self catering in Franschhoek for up to 6 guests visiting the Cape Winelands region. 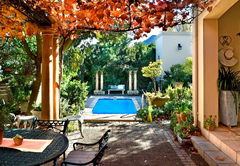 Located only 10 minutes walk from Franschhoek village centre, Grande Plaisir Villa is an upmarket self-catering holiday villa. 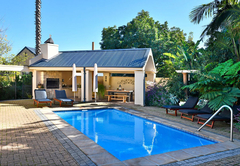 From this magnificent location you can enjoy a relaxing getaway while still being close to a range of great activities, attractions, restaurants and more. 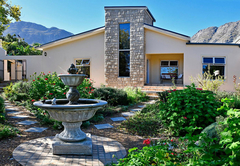 This is luxury villa sleeps six guests in three bedrooms. 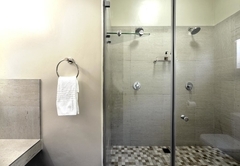 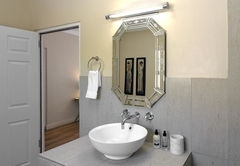 Each air-conditioned bedroom has its own en-suite bathroom, complete with double showers. 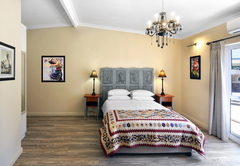 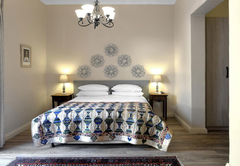 The rooms all have queen size beds, with quality linen and a handmade quilt. 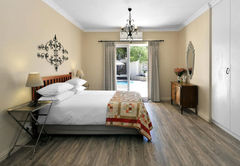 The brand new accommodation is tastefully decorated with light and spacious rooms, furnished to a high quality throughout. 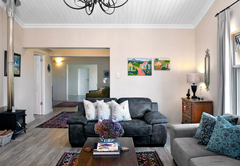 There are comfortable living room has a fireplace and there is a fully fitted kitchen with granite work surfaces. 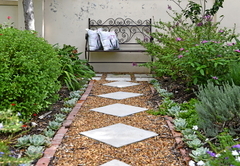 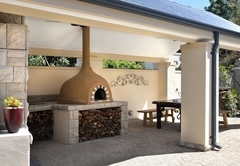 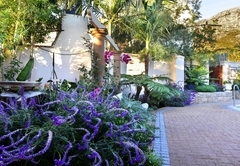 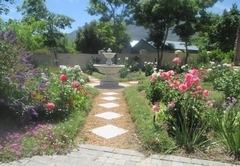 Outside is a lovely rose garden and pool area, with braai facilities, pizza oven and shady dining area. 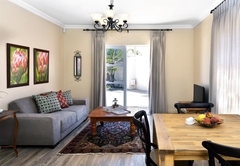 The property is fully serviced and there is secure off-street parking behind electric gate. 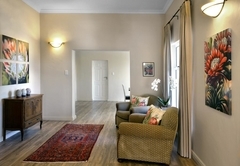 Lovely house in a quiet area, 10 minutes walk to the town centre. 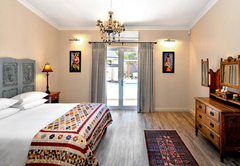 All the bedrooms have en-suite bathrooms with double showers and 1 has a bath. 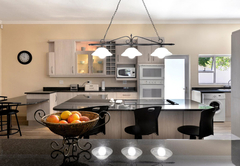 A Huge, modern, fully equipped kitchen, dining room and living room. 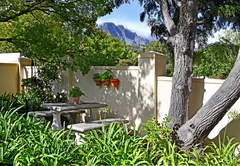 We have had a glorious stay in your idyllic cottage. 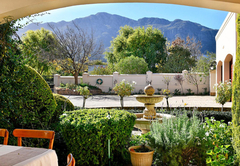 The attention to detail & great recommendations turned a lovely break into a fantastic one, thank you, we really hope to return! 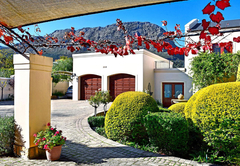 Response timeGrande Plaisir Villa typically responds to requests in 5-10 minutes.